Thousands of infants are separated from their parents every year for any number of reasons. Some of the little ones get reunited with family, some get put into foster care, and some get the most favorable outcome of being placed into a loving, permanent home. Little Gisele didn’t have the best of beginnings, but soon stole the heart of a nurse who saw something amazing in those big blue eyes. Little Gisele was born weighing in at under 2 pounds but was a fighter. Sadly, Gisele suffered from neonatal abstinence syndrome, because her biological mother abused heroin, cocaine, and methadone while pregnant, leading to a premature birth. When Smith laid eyes on the strong little girl, she was already 8 months old, but appeared much younger. 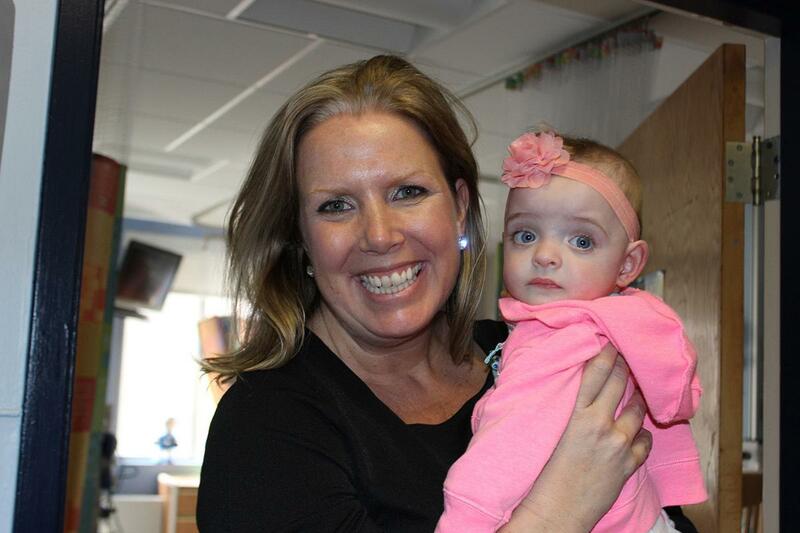 In a twist of fate, Gisele was transferred to Franciscan Children’s Hospital by the state of Massachusetts, because her lungs needed specialized treatment that the previous hospital couldn’t give her. Looking at the infant so helpless and feeble with her feeding tube in must have been so tough, but not as hard as it was to endure all the treatments. Sadly, no one visited to see how Gisele was doing in five months of being at the hospital. Social workers on Gisele’s case were trying to get the infant in foster care, but to no avail. Smith could not get that sweet little girl out of her mind, knowing in one pivotal moment on a drive home from work that she was going to be Gisele’s mom. Smith had always wanted to be a mother, but life events had gotten in the way of her perusing that dream. Losing her mother at 19, Smith knew she was going to follow in her selfless mother’s footsteps and go into nursing. Once the goal of becoming a nurse was accomplished, Smith thought that she would settle down and raise a family of her own like her 4 brothers and sisters, but it didn’t work out like that for her. After life took a different route than the one she had imagined, Smith looked into using in vitro fertilization to conceive, but her health insurance shot it down. Just when the prospect of beginning a family seemed bleak, there came Gisele, giving Smith a renewed hope. Smith put in a request to foster Gisele shortly after meeting her, immediately making daily visits to her crib side. Three weeks after the request, Smith was able to take little Gisele home, with the understanding that the state was trying to reunite her with her birth mother. How hard that must have been to pour your heart into a baby you know may leave one day, but Smith couldn’t help herself. All her coworkers threw her a baby shower, where she got many essential baby items that she took home with her the day Gisele was to see her new home. “Leaving the parking lot of the hospital with Gisele and a car full of baby stuff, I was in shock that it was happening,” said Smith. In a bittersweet sequence of events, Gisele’s birth parents had their rights terminated and no other family members were found to care for the her. Of course, Smith was happy to be able to apply for adoption, but she also felt tremendous sadness towards the situation at hand, reports the Washington Post. “The day I got the call that their parental rights were terminated was very sad,” Smith reminisces. With love and care from Smith, Gisele made developmental leaps and bounds, blowing past her milestones. Then, in October of last year, Smith became a mother, officially adopting Gisele in a courtroom full of her friends and family. Neither Gisele or Smith had things go the way they would had hoped from the start, but their stories aligned perfectly at just the right moment. Please let us know in the comments section what you think of Smith taking Gisele home.